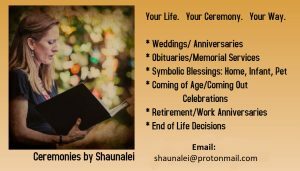 I write and officiate custom wedding ceremonies. 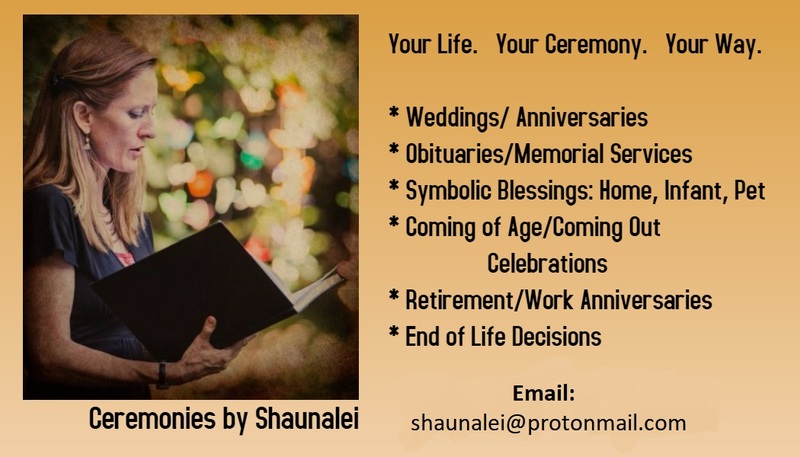 Working with a couple, I come up with a meaningful metaphor for their marriage to be included in the ceremony, which will serve them throughout their years together. Let me christen your marriage with a story never before told!